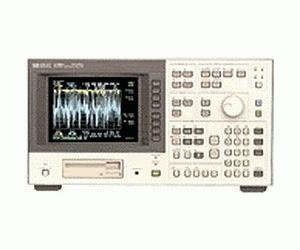 The 4195A Network/Spectrum analyzer provides excellent vector network and spectrum measurement performance from 10 Hz to 500 MHz. Providing both vector network and spectrum measurement capabilities, the 4195A is a cost effective solution for the development and production testing of analog devices. For improved performance and simple operation, many new and powerful features have been included, thus making the 4195A an ideal tool for the analog design engineer.